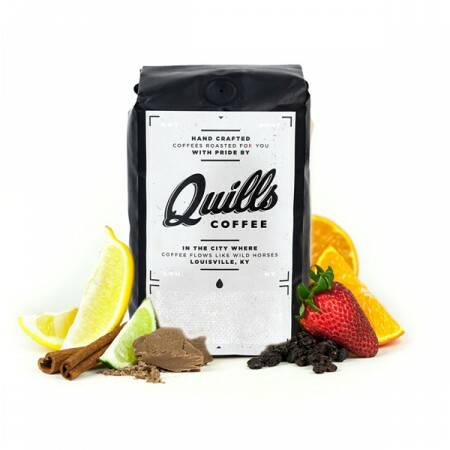 This is the Kenya Kibugu brought to you by Quills Coffee. Grown by the various small holder producers in the Embu region at 1,800 meters, this fully washed coffee is a perfect example of why we love coffees from Kenya. We love this coffee for its classic Kenyan cup profile of blackberry and grapefruit. Pretty good. I would give it a 3.5 - 4 star rating.